As the roll-out of the new Standard Financial Statement begins, the Trust’s Head of Learning and Development, Lyndsey Humphries, gives an overview of the Trust’s new e-learning designed to help debt advisers and creditors make a smooth transition. A few months ago we were pleased to host a guest blog post from Sheila Wheeler, the Money Advice Service’s Director for UK Debt Advice, which focussed on their plans for the Standard Financial Statement (SFS).  In recent months we have been working closely with the Money Advice Service to support the rollout of the SFS, which is officially launched today. As a single, recognised format for assessing income and expenditure for people struggling with debt for use across the advice and credit sectors, the SFS builds on the foundations laid by the Common Financial Statement (CFS), run by the Money Advice Trust on behalf of the sector. A particularly noteworthy and welcome feature of the SFS is a savings category, which will enable individuals to build up their reserves while also resolving their debt. We have been making the case as an organisation for the SFS to be adopted by the public sector in dealing with their customers – and this is something we are very keen to see happen in the future. In the meanwhile we have been developing new materials to support advisers and creditors with the transition to the SFS format. Our new e-learning, ‘Standard Financial Statement: Advisers’, takes less than an hour to complete and steers debt advisers of all levels of experience through everything they need to know in order to effectively assist their clients. Upon completion, advisers will be able to identify the purpose of the SFS and the principles underpinning it, know what client information is required and recognise all criteria and terminology. This course is available to any adviser registered with Wiseradviser. On the other side of the process, the ‘Standard Financial Statement: Creditors’ e-learning course helps users to understand how the form must be completed so that the right customer information is received and the application can be reviewed accordingly. 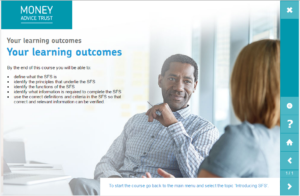 The course, which can be accessed through the Money Advice Service’s dedicated SFS website, also helps creditors to identify fixed outgoings, priority and non-priority debts and to understand spending guidelines. We hope that both courses will prove useful in helping the transition to the new process for advisers and creditors alike – and we will also continue to make the case for the format to be used more widely in the future. For further information on either course, please contact info@wiseradviser.org.